I don’t want to like it, but I do – HubNut – celebrating the average! 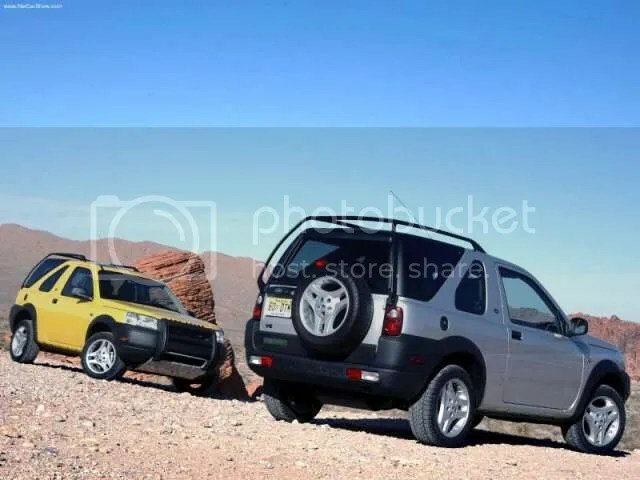 The Land Rover Freelander is a car I really don’t want to like, but must admit that I do. The whole idea of soft-roaders is fairly disagreeable after all. If you want an off-roader, buy an off-roader. If you want a chariot to take the kids to school, buy an MPV. Your kids will probably be safer in it for a start. The whole idea of buying a 4×4 to use for anything other than heavy towing or off-roading does seem peculiar. It’d be like picking a stilleto as the ideal shoe for running a marathon. So, the type of vehicle it is certainly grates. What else? Ah yes. The fact that it’s quite rubbish. Engines consist of head-gasket blowing petrols (1.8 K-Series or KV6 if you’re really brave), and really quite good diesels. Don’t get carried away though, as the transmissions seem to have all the robustness of a Citroen BX 4×4, and there’s no low-range option. You do get hill descent, but that’s a bit like making friends with your computer rather than actual people. And it’s so dangerous on ice and very slippy surfaces that the handbook tells you not to use it. “Just stay in with a cup of tea and a nice book,” it says. Possibly. Build quality is also what you’d expect from Solihull. Rubbish. Bits will fall off and electrical components will impress with the way that they fail. On the plus side, all these problems mean that there are lots of forums where owners share their latest disasters and look for a shoulder to cry on. Yet I really like them. That must come down purely to the looks. They got this one about spot on really. It looks like someone took the Vauxhall Frontera Sport – another 4×4 I’m sadly quite fond of – and gave it a smart makeover. The front end is chunky and menacing without being threatening, the 3-door looks solid and purposeful and the rear end, despite what should be complete and utter tail-lamp carnage, looks really quite pleasant. The gimmicky drop-down rear door glass is the sort of gimmick I hate myself for liking.